Blauman. These are for Germany! This is the guy that Cobie Smulders is expecting a baby with, he played Blauman in "The Chain of Screaming" & "Life Among The Gorillas". 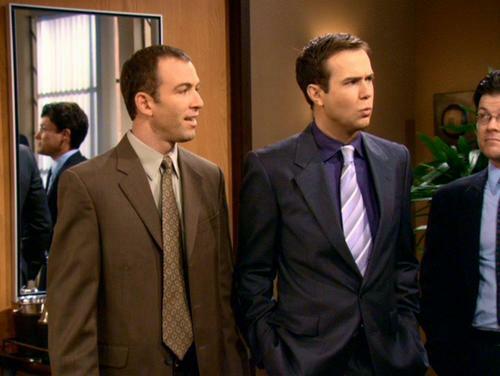 HD Wallpaper and background images in the How I Met Your Mother club tagged: how i met your mother himym taran killam blauman screenshot image picture photo. This How I Met Your Mother photo contains business suit, suit, suit of clothes, two piece, two piece suit, and lounge suit. why wasnt i aware of the fact that he is cobies boyf? what kind of fan am i? Haha well I didn't know either until I became super stalker. I like this pic a lot. He looks kind of cute there.